On June 21, the WBN Book Club met for dinner at Kettle Drums, and of course for a book discussion. 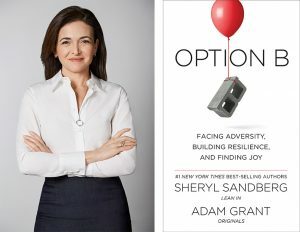 Our pick was Sheryl Sandberg’s Option B. Though it was written in the aftermath of the death of Sandberg’s husband, there are stories about overcoming all sorts of losses and failures. 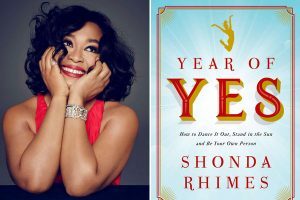 Year of Yes by Shonda Rhimes stimulated a lot of discussion at the WBN Book Club when we met at Charlotte Anne’s Restaurant this past May. Even people who had never watched her shows (Grey’s Anatomy, Scandal and How to Get Away with Murder) loved the book. It was an interesting mix of humour, inspiration, business and personal development tips for women. Shonda is a self-described introvert who fell into the rut of saying no to all things that were outside of her comfort zone. After hearing her sister say, “you never say yes to anything” she took that as a challenge and vowed to say “yes” to the things that scared her, for one full year. This did not mean saying yes to everything. In fact, she talked about “saying yes to no” on occasion. However, it was a fun reminder that we all face the temptation of letting things get too comfortable, when sometimes the change and excitement in life comes from taking a few risks. We shared stories of our own personal connection with the book and more than a few people shared their success when they tried this new approach themselves.